Making better use of the space in Bradford Interchange bus and rail station to make it a more attractive gateway to the city of Bradford. The lower concourse between the bus and the railway station has a lot of room that could be utilised better and the entrance to the station does not currently present a positive image to the rest of the city. There is scope to add more greenery and better lighting to the outside of the station and the entrance, and a lot of blank space and vacant retail space on the station concourse which can be put to better use. Bradford Interchange is the main bus hub for the Bradford district and is one of the city's mainline railway stations with over 2.5 million journeys a year connecting the city directly to Leeds, Manchester and London. 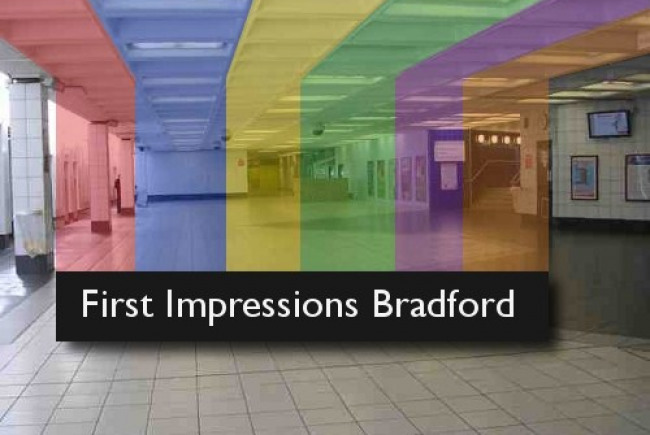 The project would present a more positive first impression of the city, create a more welcoming environment, offer a space to showcase the Bradford district and present a space that the community and businesses can be proud of. Bradford is a distinctive city and such a project in the station would provide the opportunity to show what Bradfordian people can do when they come together. Wanting to make things better in Bradford City Centre.